ACE has acquired Chubb, creating a global insurance leader, with the combined organization operating under the renowned Chubb name. Big "I" Markets is fortunate to have a longstanding strong partnership with both Chubb and ACE, offering policies through the Big "I" Affluent Program. We look forward to an even brighter future with the new Chubb and its value proposition. Below are details on how this will affect existing Big "I" Markets policies as well as future new business. If you have any questions please contact me at Aimee.Fawns@iiaba.net or Nancy Doherty at Nancy.Doherty@iiaba.net. With only a few exceptions, new policies will be issued with Chubb on Masterpiece paper effective March 1, 2016. With the combined company, MA and SC are now open for automobile for Chubb customers on legacy-ACE paper. Continue to utilize the same workflow of submitting application(s) for all lines of business you wish to be quoted via the Affluent Program - New Business product on www.bigimarkets.com. 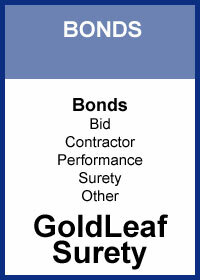 Your underwriter will review your submission and discuss the available Chubb options. All watercraft will be issued on legacy-ACE paper. 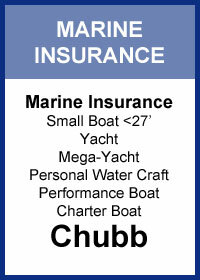 The existing Marine Insurance product will be utilized for watercraft quotes on all new Chubb customers effective March 1, 2016. When submitting a new account for consideration that includes watercraft you will need to create two quote requests: one for the Affluent Program - New Business and one for Marine Insurance. The process of converting eligible Fireman's Fund expiring policies to the legacy-ACE writing company will continue as planned, even after March 1, 2016. The policy documents will reflect Chubb as the parent company. If you have any questions or concerns about a converting account please contact us to discuss by posting a New Message in your insured's Quote Detail. With only a few exceptions, all renewals will continue to be written in their current product, including new lines written for existing customers. You can send this letter on your agency letterhead to your existing Chubb or ACE customers. The letter outlines that for customers - nothing in the immediate time frame will change. They will still pay their bills, access their policies and submit claims the same way that they always have. Q: What are the important messages I/you can provide to customers about the transition to Chubb? The combined organization brings the experience and expertise of Chubb and its people together with the innovative culture of ACE and its people. The scale of the new company allows us to capitalize on both and invest significantly in service and coverage innovation for HNW clients. It also creates the capacity to immediately provide a wide range of solutions around the country and around the globe that are unrivaled in the HNW space. New Chubb will lead the market with expertise, innovation, vision - and an ongoing commitment to serve the unique needs of the HNW client. Q: What communication is being sent to policyholders? The policyholder communications that you are used to seeing from both ACE and Chubb will continue. Q: Are there any changes to your business strategy as the new Chubb? The combination of ACE and Chubb does not change our strategy of providing quality products and services to ensure our customers are well protected. In fact, it enhances our capabilities to deliver in both aspects by combining the best of each company. Q: How will claims be handled? We remain committed to providing superior service on every claim and our claims experts will continue to handle each claim without interruption. Should you have questions regarding an existing claim you can contact the assigned adjuster or claim professional. Customers, agents and brokers should continue to report claims using existing channels. As we adopt combined procedures for claim reporting, we will communicate those changes to you. Q: What is going to happen with your loss prevention services such as WDS? Loss Prevention services such as Wildfire Defense, Hurricane Protection and Chubb Property Manager will continue uninterrupted through transition. 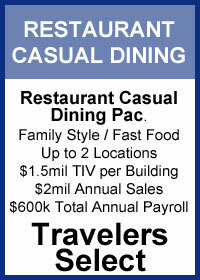 In the near term, the availability of these services will follow the product. For example, Wildfire Defense will be available for Masterpiece policyholders only. We will be evaluating all services and hope to enhance and expand the best of our current programs over time. An opportunity to offer the Newly Mapped procedure rating option to clients whose properties were newly mapped into a high-risk area from October 1, 2008, to April 1, 2015, will expire on Friday, April 1, 2016. Act now to ensure that your clients are covered and don't pay more for flood insurance than they should. On April 1, 2015, FEMA introduced a new lower-cost rating option for properties identified as high risk (zones beginning with the letters "A" or "V," known as a Special Flood Hazard Area, or SFHA) on a new flood map if the property was identified at moderate to low risk (zones beginning with the letters "B," "C," or "X") on a previous flood map. This Newly Mapped procedure allows for a building to be rated using a rate based on the lower-cost Preferred Risk Policy (PRP) if the policy is written and effective within the first 12 months after the new flood map becomes effective. Note that the property must meet the same PRP claims eligibility requirements, and it will have a slightly higher Reserve Fund Assessment and Federal Policy Fee than regular PRPs. After the first year, the rate will begin transitioning to a full-risk rate with annual rate increases of no more than 18 percent. Full-risk rate is defined here as either the standard Zone X rate or a rate using the current effective flood map, whichever is lower. If the property is already covered by the PRP Eligibility Extension (PRP EE), it will renew using the Newly Mapped procedure. Rating details can be found in the NFIP Flood Insurance Manual. While this rating option applies to affected properties from April 1, 2015, onward, FEMA is allowing this rating option to be used for any eligible property newly mapped into a high-risk area from October 1, 2008, to April 1, 2015, that did not get coverage. However, the policy must be effective before April 1, 2016. That means, since there typically is a 30-day mandatory waiting period for flood insurance to become effective, the policy must be purchased by Tuesday, March 1, 2016. As an insurance agent, you should take time now to review your client portfolio for 1) any properties that may have been newly mapped into an SFHA during that time period and 2) properties that then might be eligible for this rating option but are not covered or are improperly rated. For example, maybe your client dropped coverage or paid off a mortgage and decided to go without coverage, or maybe the property was grandfather-rated instead of rated using the PRP EE. Taking advantage of this time period is especially critical for newly mapped pre-FIRM properties as their only option starting April 1 will be to use the current map for rating-meaning premiums could be much higher than with the Newly Mapped procedure. In addition to the NFIP Flood Insurance Manual, stay updated by reading the latest WYO Bulletins. Other useful resources include the Newly Mapped Procedure Fact Sheet and the recently updated Map Changes section on Agents.FloodSmart.gov, which provides guidance for agents on what to know and say regarding map changes. Are you taking advantage of the Big "I" Flood program? Get to know the Big "I" and Selective staff and get your flood questions answered. With personalized support, competitive commissions, and an easy-to-use quoting platform, it is an easy decision to start writing your flood business through the Big "I" Flood-Selective partnership today. Visit www.iiaba.net/Flood to learn more. Hundreds of thousands of Recreational Vehicles owners in over 40 states have chosen National Interstate to insure their RV. Why? Because they know that National Interstate gives them quality coverage and attentive service, so that they can enjoy their RV without worry. National Interstate's RV coverage picks up where ordinary auto policies leave off. Since an RV is really a home on wheels, their specialty programs combine many of the features of an auto policy with those of a homeowner's policy. Whether a motor home, bus conversion, fifth wheel, stationary trailer, or travel trailer, they have a policy with a variety of coverages to help protect against the significant impact of depreciation and total loss. National Interstate offers innovative policies for motor homes and bus conversions, as well as non-motorized vehicles like travel trailers, fifth wheels and pop-up units. Rest assured that when you work with National Interstate, you'll get the comprehensive coverage your client needs in order to enjoy their RV with peace of mind. They can insure bus conversions up to $2 million in many states (liability limits up to $1 million are available). National Interstate will also insure your tow vehicle, whether it is a powerful medium-duty truck, a motor home, a pickup truck, or an SUV. If the RV is a total loss in the first five model years, they will replace it with a brand new comparable model. This coverage provides protection against depreciation. An option where the deductible is reduced by 25% for each consecutive claim-free year, and can result in no deductible applying to a loss. Coverage to replace your personal property. 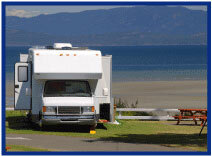 Coverage if you are liable for injury or damage while camping in the RV. Did you know that windshield damage is the most common RV claim? Did you know that awning damage from wind is the second most common RV claim? They also offer a suite of coverages available exclusively for full-time RVers and those who use their RV more than five months out of the year. Available for bus conversions only. Covers utility trailers pulled behind a motor home. Coverage for those who use their RV in conjunction with or as part of a business. National Interstate's service is also second to none. Their claims and service teams are specially trained in RV insurance as well, and will work closely with your client in the event of a question or a claim. National Interstate is rated "A" (Excellent) IX by A.M. Best Company, bringing you the peace of mind that comes with a financially secure organization. Log into www.bigimarkets.com and choose Recreational Vehicles from the personal or commercial products menu to review full coverage details or to submit a quote. February 24. Emerging Insurance Pricing Mechanisms..The End of Underwriting? This two-hour program examines past, recent, current, and emerging pricing mechanisms, from the inception of judgmental underwriting to class rating to data analytics and predictive modeling. Click here to learn more and to register. March 7. "First Monday LIVE!" a free monthly webcast hosted by the VU's own Bill Wilson and guests on the first Monday of the month, to discuss the wide world of insurance. Each 30-minute webisode will cover "what's going on" (drones, car sharing, concealed weapon laws, legalized marijuana, legislative issues) and the implications along with hot topics, your feedback and more. The March session covers "The Worst Insurance Policy in the History of Insurance.". Click here to learn more and register. March 23. "Horrible Commercial Lines Policy Forms and Endorsements to Avoid or Be Wary Of" This program examines dozens of commercial lines policy forms and endorsements that business entities should avoid in their insurance programs if at all possible. Discussion topics range from why be concerned to who's to blame, to Non-ISO and ISO Policy Forms and Endorsements and what to do, along with time for questions and answers. Click here to learn more and register. Be one of the first five with the correct answers and win an envy-inspiring TFT Trivia T-shirt or choose a $5 gift card (Starbucks, Dunkin' Donuts, or Krispy Kreme). Congratulations to this week's winners - Vicki Hummingbird (OK), Ed James (FL), Garrett Kraus (VA), Aaron Davids (FL) & Jack Harris (IN). Congratulations to our agent in Colorado on a non-standard homeowner sale of $2,448 in premium!